iProov is a fast-growing UK cyber-security business based in London, providing strong biometric identity authentication of online users. We focus on delivering the twin goals of trusted security and outstanding user experience. Our unique approach to spoof prevention, covered by numerous granted patents, our world-class deep learning technologies and our focus on sustainable security have given us an unrivalled reputation worldwide. Customers in the financial services, Government and enterprise markets have adopted our systems for online logon and step-up authentication, and for remote identity verification based on trusted identity documents. We have received numerous awards in recognition of the unique security and usability of our solution. We were awarded Best of Show at Finnovate Conference 2018, and in June 2017 we won the Citi “Technology for Integrity” Challenge in Singapore. In March 2017 the UK National Cyber Security Centre leadership selected iProov as the winner of their “Dragon’s Den” Award. In 2016 iProov was recognised by top prizes from KPMG and Sony. 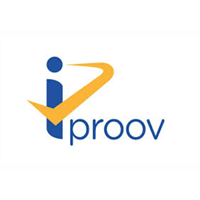 iProov is led by a team combining senior experience in growing global, high performance mobile & cloud services, with world class academic research expertise. 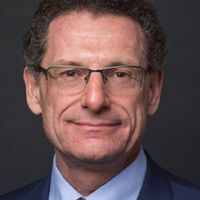 The business has won many innovation grants from InnovateUK, the UK Government’s innovation agency, and has raised substantial Series A finance.